Designing, developing and launching an appealing and professional website is just a half task done to create web presence. As a business owners, programmers, online marketers, and web masters you have to review, analyze and evaluate the website on regular basis for better performance. Our experts at SEO Company in Bangalore follow the step by step procedure while providing online presence analysis services. After doing the complete audit, we send a report of client’s web presence and brand visibility. 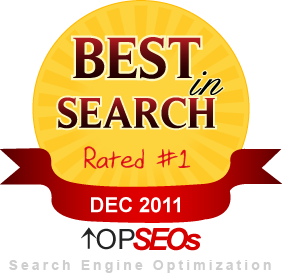 Every part analyzed is sorted by social networks, mobile, SEO and other themes. Appropriate action is taken by analyzing the strength or weakness to optimize the successful digital presence. •	Conduct a complete discussion with client to review the website goal, competitor reviews, SEO history and how they would like to enhance sites performance. •	Comprehensive website reviews to determine how first time visitor experiences after visiting the website i.e. positive, negative or just fine. •	Analytical look of website programming to get full overview of web presence. •	Report on the discussion and possible recommended action plan. SEO Company Bangalore website audit services include Google analytics, site analysis, Google webmaster tool, competitor analysis, usability analysis, and keyword research service. Instead of wasting tons of time on planning what is necessary to grow your business presence, you can take our website audit services to determine what can be used better for site.